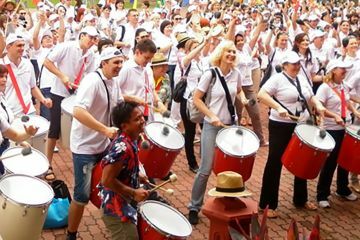 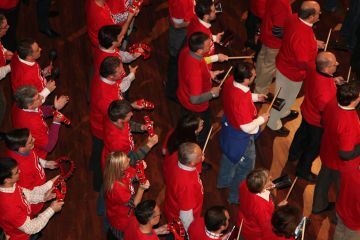 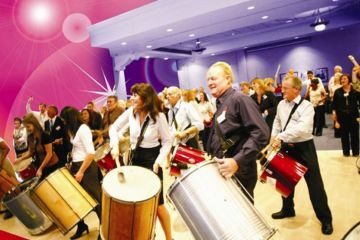 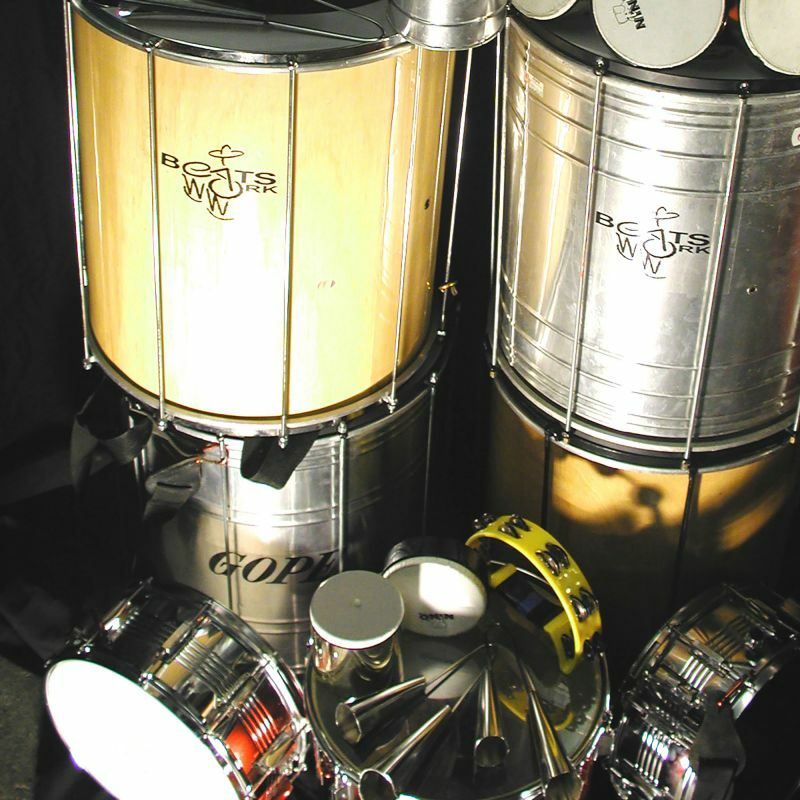 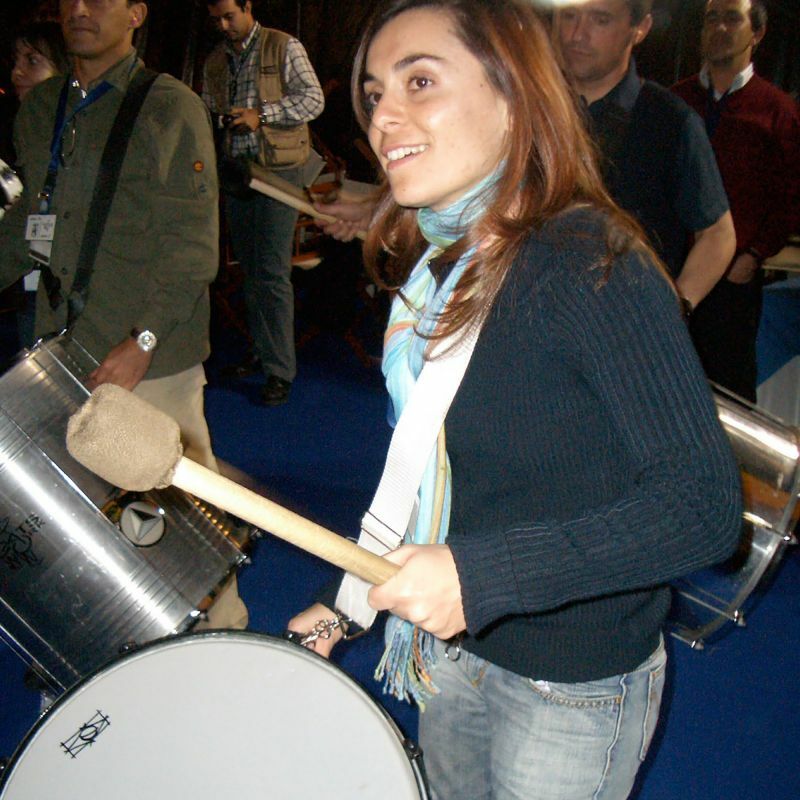 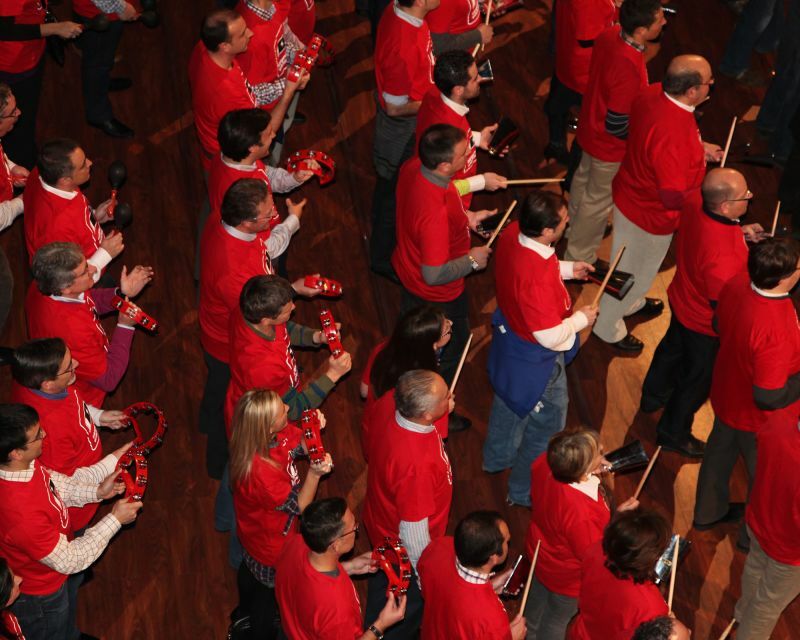 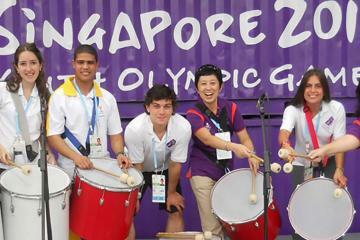 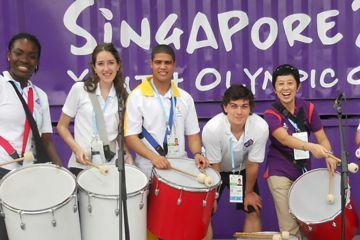 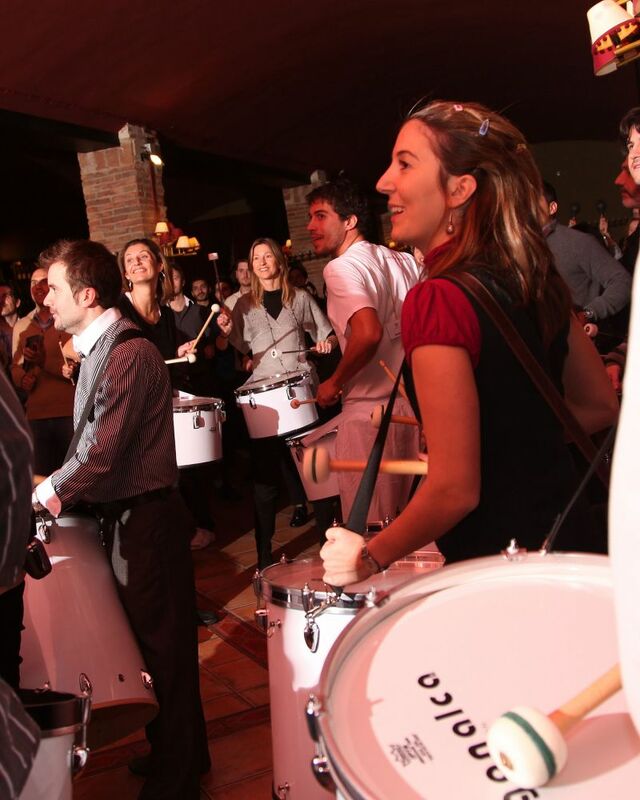 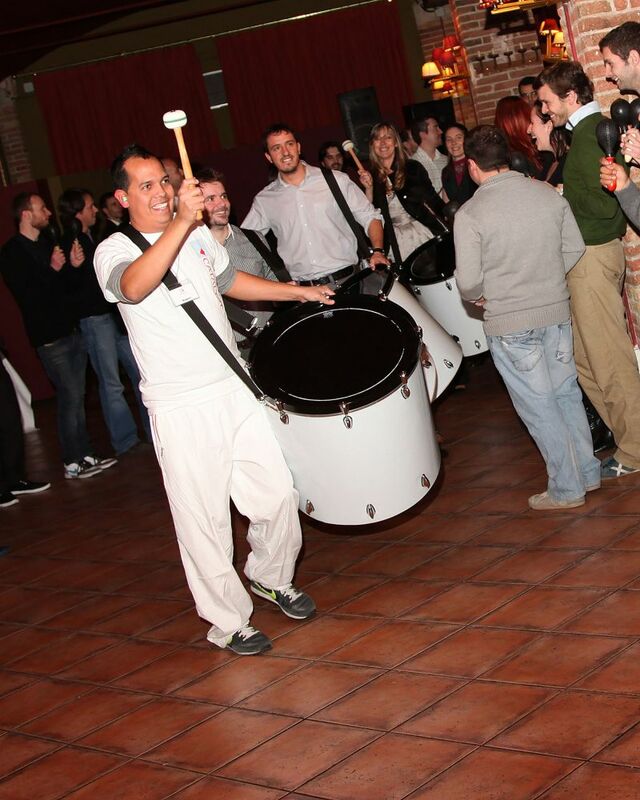 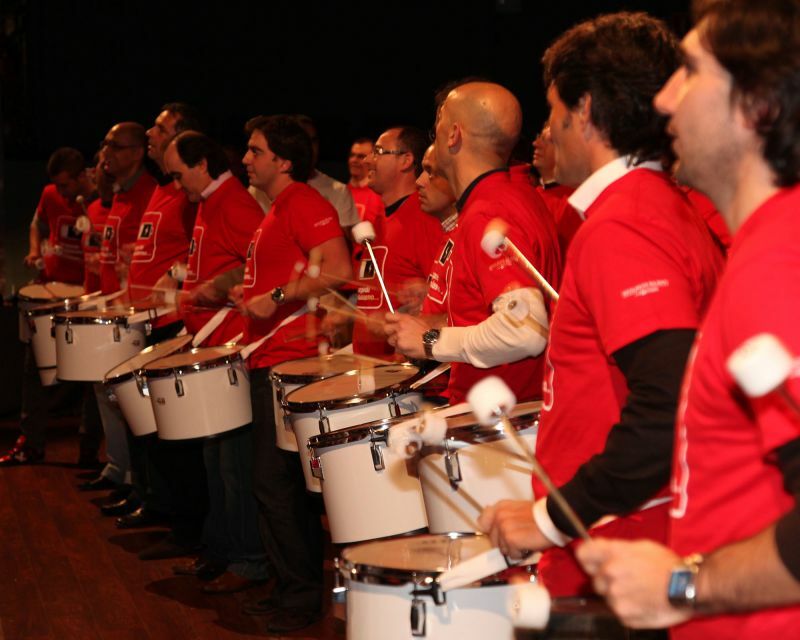 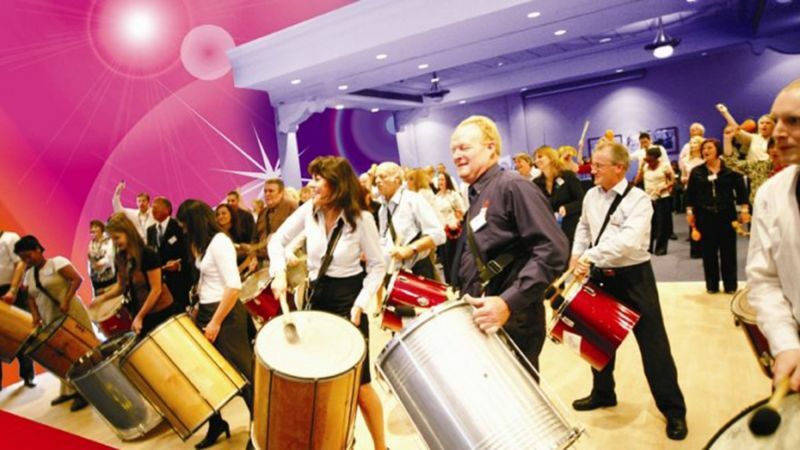 Transform your team into a giant percussion band with the infectious rhythms of samba. 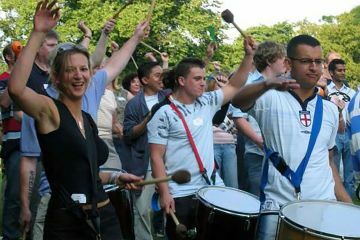 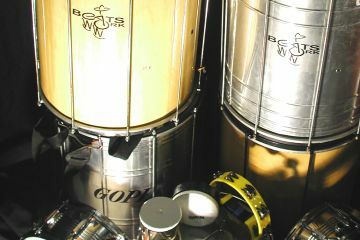 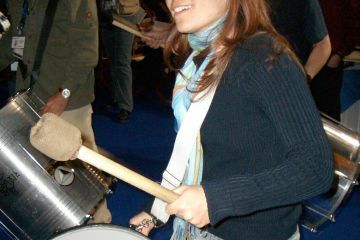 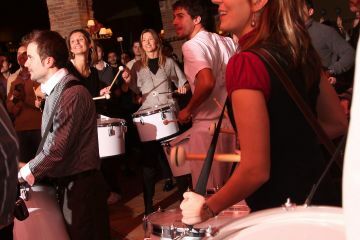 Starting in small groups with a professional percussionist, your team is taught the basics of samba beats and breaks. 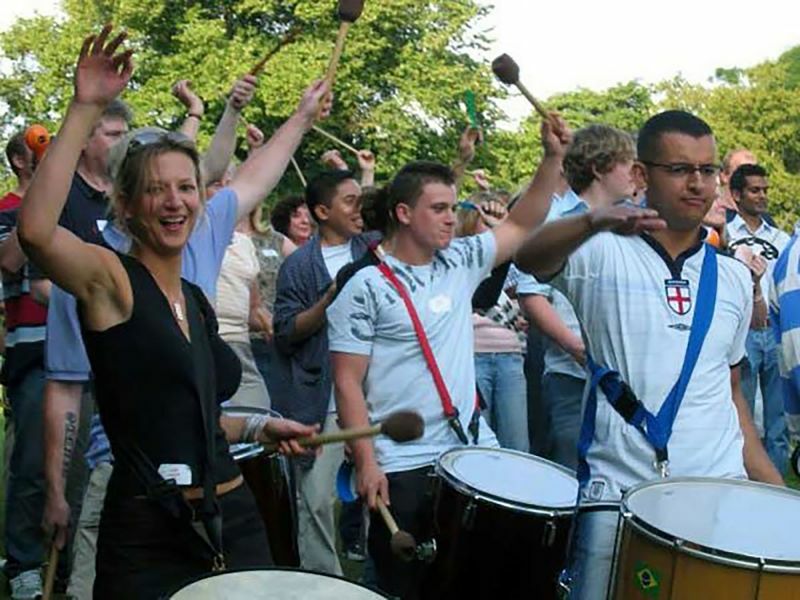 By using a variety of rhythm based warm up exercises, teams soon move onto real instruments, with each group learning the different instruments and rhythms. 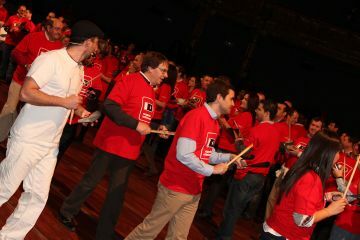 In Beatswork, everyone is involved. 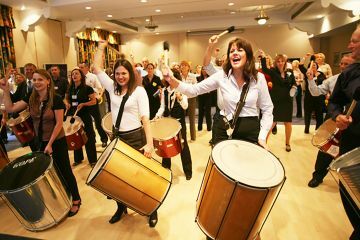 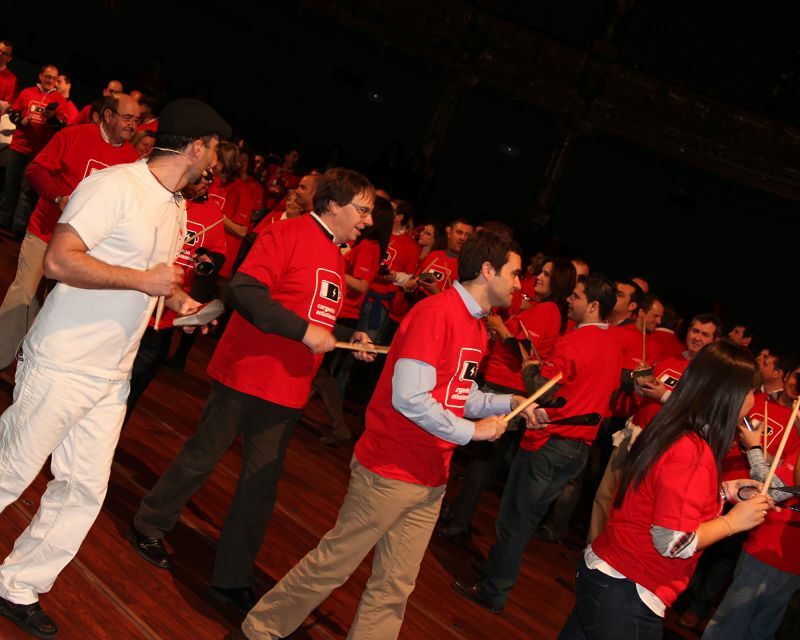 Even the most reserved participants will be stamping out the beat in rhythm with their colleagues. 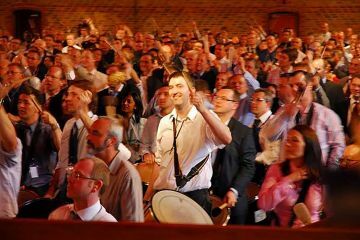 As confidence and ability grows the groups are brought together in preparation for a stunning and pulsating finale of epic proportions. 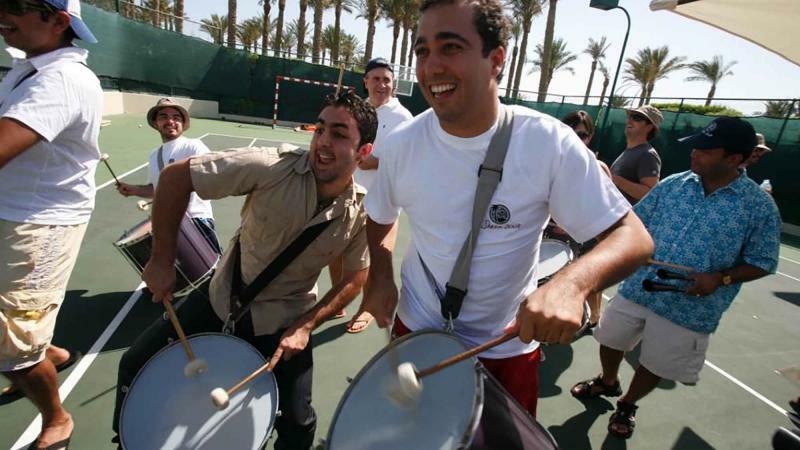 Exhilaration and an upbeat mood lingers long after the activity has finished. Beatswork energises and invigorates participants as the power of collective rhythm is unleashed. It demonstrates the importance of cross functional cooperation. 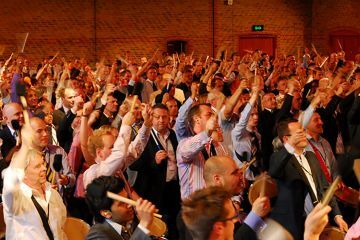 When individuals and teams effectively play their part and work in synergy with the whole group it leads to success.This highlights the power of focused common purpose. 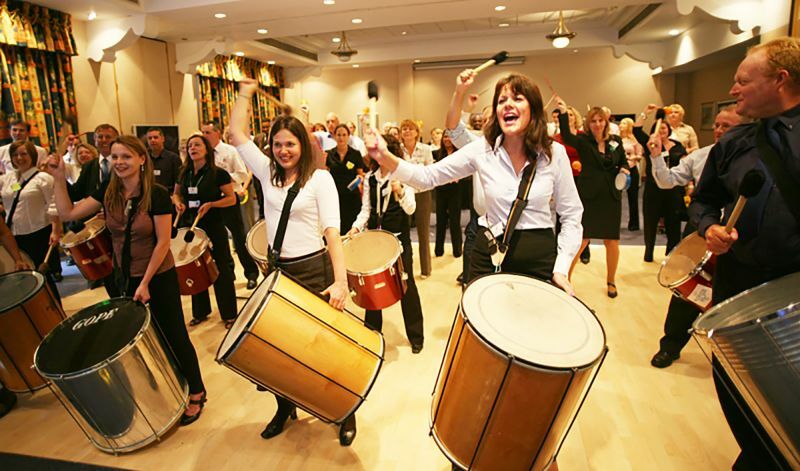 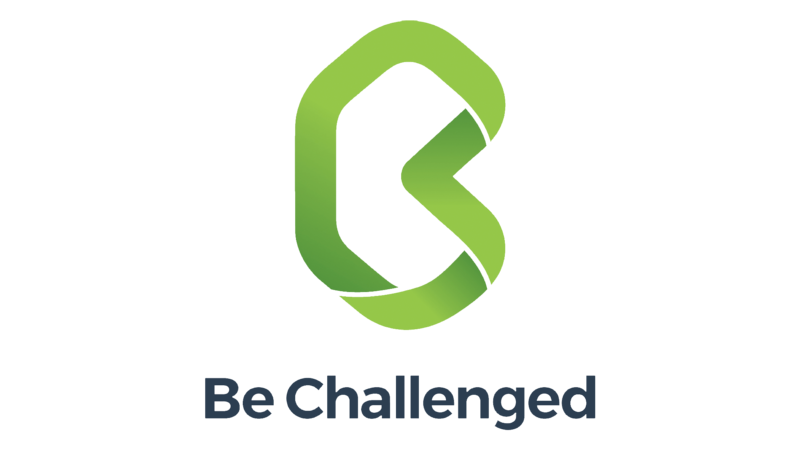 Clients who love Beatswork have utilised it to motivate their people and bring joy to others by performing at a their local retirement village or in the children's ward of a local hospital. 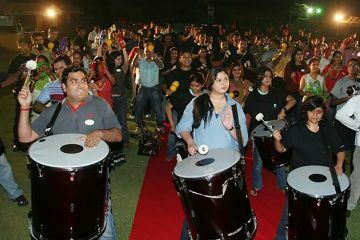 You should have seen their faces! 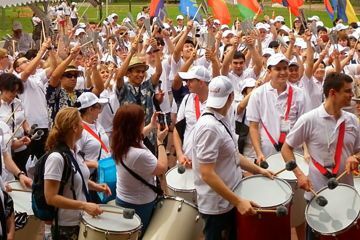 I've worked with almost all of them back at the office and I was amazed at how they came out of their shells. 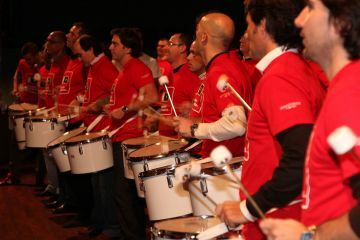 They all got into it so much - drumming, dancing - even the vocal parts! 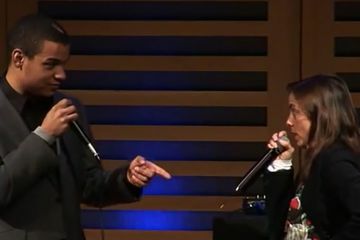 It was like, 'Wow! 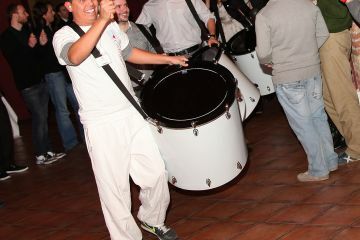 He can really swing!